Constanza Contreras febrero 11 No Comments. Big data is good for business, from better marketing and product development to recruiting strategies, and now companies are turning to big data to help them boost employee productivity as well. The secret to keeping employees motivated can often be hidden by company policy or even the office layout, so turning to big data to help discover these hidden factors can yield new insights into how the office works and how to make it better. Office design has seen some dramatic changes over the years, from the cubicle to the open office, but finding the right balance between a collaborative workplace and an office where employees can get things done without interruption still remains a challenge. Now with big data cloud services, employers are trying to get a better idea of which workspaces are used the most and which ones are used the least to determine how they can optimize the workplace. 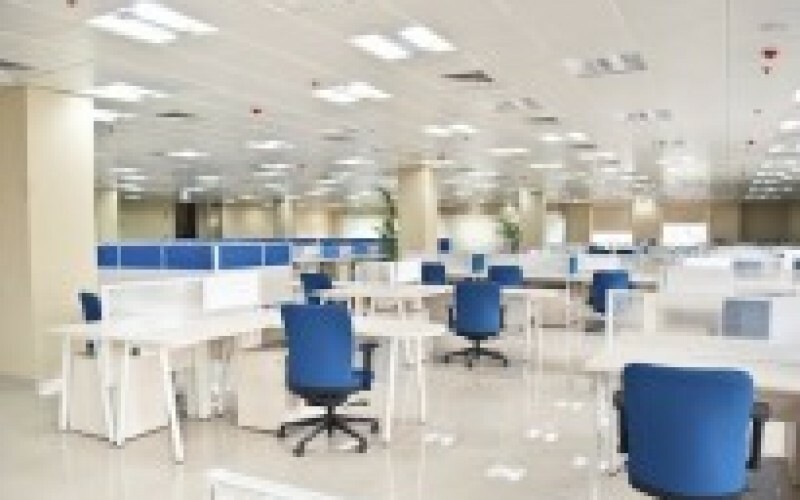 By placing a variety of sensors around the office, such as motions sensors, sensors on chairs and tables that indicate when they were used and how long, and sensors in employee badges that track employee movements- employers can get a pretty good picture of how an office space is used. Then by combining that data with employee satisfaction surveys, employers can create an office space that encourages productivity and promotes employee satisfaction. Results from one sensor study found private offices remain unoccupied 77 percent of the time and work stations aren’t occupied 60 percent of the time indicating that as workers have become more mobile, small but informal work spaces are needed more than formal offices and large conference rooms. In addition to the actual office space, employers have also started collecting data on how employee interactions and policies that influence interaction affect productivity. For example, Bank of America asked 90 of its workers to wear badges with sensors in them that tracked their movements as well as the tone of their conversation in order to find out how important social interaction was for its call-center employees. The sensor data indicated that those employees who worked in close-knit teams and had frequent interaction with co-workers tended to be the most productive. As a result, the bank started scheduling group breaks, so employees had more times to interact with each other, and productivity rose by 10 percent. Results from a sensor study by Cubist Pharmaceuticals had similar results. Its sales team was more productive and energetic when it had frequent face-to-face interactions, but the data also revealed that employees weren’t interacting during the lunch hour. Instead, they would spend lunch in their office. In response, the company created a better cafeteria to entice workers to eat together. Another interesting finding from sensor data is that the size of a lunch table can also affect productivity and collaboration. Larger lunch tables encourage more social interaction across departments in a company, and the overall increase in social interaction boosts productivity. Finally, big data can help HR better identify top performing employees and managers that lead top performing teams. By combining traditional HR data, employee demographics, rewards and performance data, with additional information such as sales and profits, employees and customer surveys and internal communications, HR gains a better picture of employee performance and the factors influencing performance. With this data companies can better reward top performers and help them develop further, as well as have a better profile to look for when recruiting new employees. The human element will always be important when it comes to making decisions about the workplace, but big data also has a place in yielding insights hidden from management, whether it’s a change in break times or a new layout in the break room. By taking advantage of big data services and insights, companies can boost productivity and morale resulting in a lower turnover rate and higher profits.